The Blanch Law Firm’s complex commercial litigation team is comprised of a highly skilled team of litigators with years of experience. 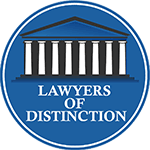 Every commercial litigation attorney at our firm possesses a unique knowledge of the law and a successful track record. Our results driven approach to complex commercial litigation involves assigning multiple members of our Commercial Litigation Attorney team to every case. This assures every client a 360 degree of their case and the best results possible. 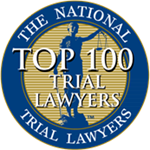 Every litigator at our firm spent years honing their trial lawyer skills at various District Attorneys’ Offices, working on white collar cases, high-finance cases and more. Our commercial litigation attorney team has experienced with many high profile and high net worth cases, including: Our client was accused of embezzling $188,000.00 from their employer. If they were convicted at trial they would have received a disposition that required at least one year in jail. The Blanch Law Firm was able to secure a disposition that required the client to spend no time in jail. Client was charged with enterprise corruption and alleged to be the mastermind of a fraud worth over $5 million. Our Client faced severe criminal penalties with a mandatory jail sentence as well as civil penalties and possible criminal forfeiture of property. The Blanch Law Firm was able to secure a disposition with no jail time and a civil penalty. Our client worked for a major medical supply company and was under investigation for possible bid rigging and antitrust violations. The Blanch Law firm was able to deal with the investigation in a manner that prevented the arrest and criminal prosecution of our client. If you need a qualified commercial litigator, Contact The Blanch Law Firm today at 212-736-3900. Our complex commercial litigation attorney team represents clients in the following areas of litigation: Antitrust & Trade Regulation Labor & Employment FCPA Civil RICO Our experience includes international cases as well as high profile cases. For example, we represented an international airline in a major antitrust case, as well as a bank in a major million dollar fraud case. Our experience includes the travel industry, health care industry, energy industry, finance and more. Contact The Blanch Law Firm today to speak with one of our skilled litigators. Our commercial litigation attorney team will aggressively represent the best interests of you and your company.